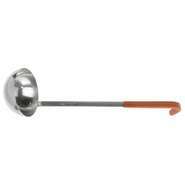 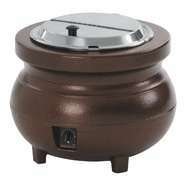 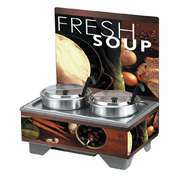 Soup kettles or warmers appear as a traditional kettle shape containing a cylindrical inset. 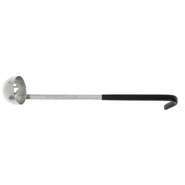 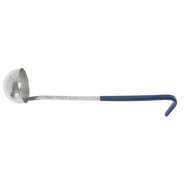 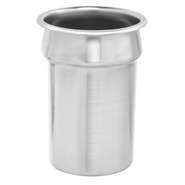 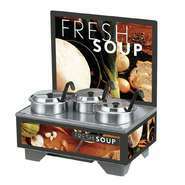 Perfect for liquid based food and allows guests to easily serve themselves. 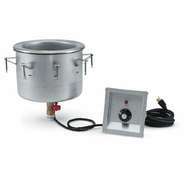 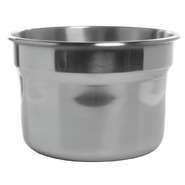 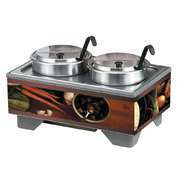 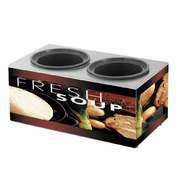 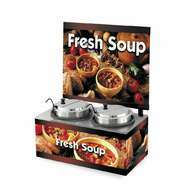 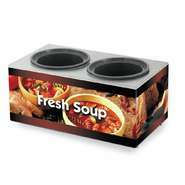 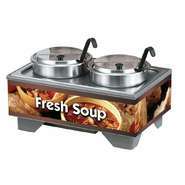 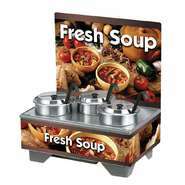 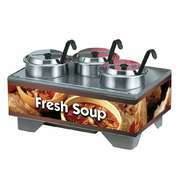 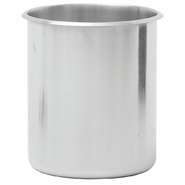 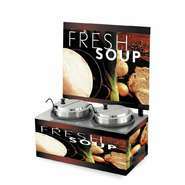 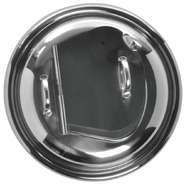 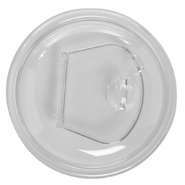 Great for use on a soup or salad station, the soup warmer works well where lots of soup, gravies, stews and sauces are served. 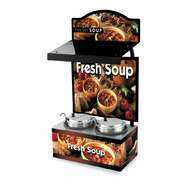 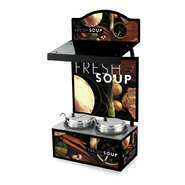 The soup merchandiser additionally has graphics that provide eye appealing information. 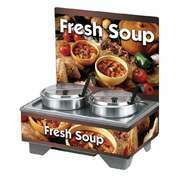 The station is meant for self serve use.